Smile Of The Stowaway, my first book, was published today, December 1st. It should be on sale within the next two weeks. I will update this website as soon as copies are available to buy. Many thanks to literary agent James Essinger for his hard work, patience and support. It has been a long journey. I wrote the novel over a four-month period 18 months ago. Months of discussions, re-writing and editing work followed. It is only through his unceasing faith in the project that we have reached this day. It was also fortunate that my daughter Kate’s fiancé Ross Marklew’s oil-on-panel painting of a cyclist riding into woods caught the publisher’s eye and was selected for the front cover. I owe them both my thanks, along with many other friends who have given me so much support. 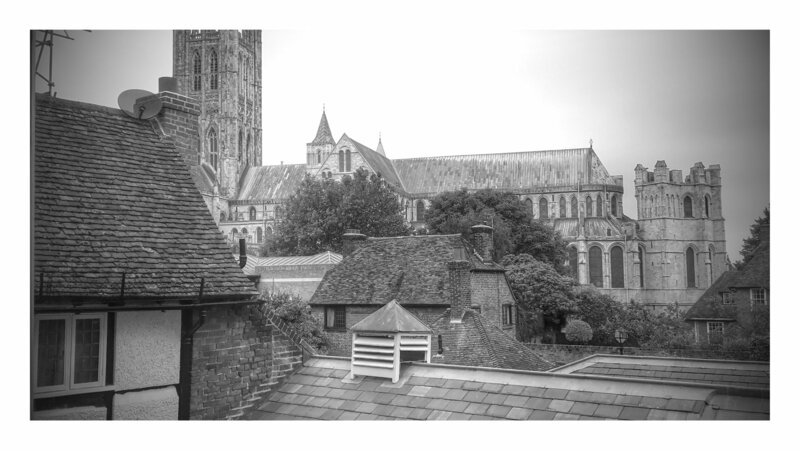 The novel is set in Canterbury, a city I know fairly well. I wanted to depict the beauty of my home county of Kent with its apple orchards, hop gardens and rolling hills. But I also enjoyed setting the scene for the murder of a man in a secluded cottage and outlining the various clues discovered by the amateur detective Anne in her pursuit of the killer. I hope the story is thought-provoking as it touches on the issue of whether Britain is a less welcoming country than it once was. Once last-minute procedures have been completed, Smile Of The Stowaway will be available to buy from the Conrad Press in Canterbury (www.theconrad press.com). It will also become available shortly on Amazon and as an e-book through Apple, Barnes & Noble, Kobo, Gardners and various other established outlets.